After the breakdown of his marriage David (Colin Farrell) is carted off to a hotel where he has 45 days to find another partner. If he fails, he will be turned into the animal of his choice and be set loose in the woods. When asked by the hotel’s manager (Olivia Colman) what animal he will choose, David states that he would like to be a lobster. He has chosen this creature because lobsters can live for a hundred years, are blue (like the aristocracy), remain fertile all of their lives and they live in the sea. David has always liked the sea. 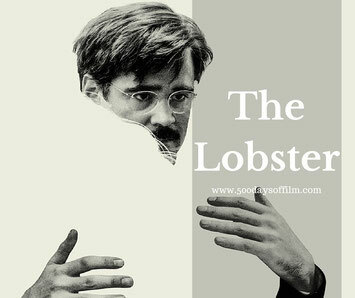 Your enjoyment of The Lobster will very much depend on how willing you are to follow Yorgos Lanthimos on his surreal journey. If you are happy to accept his strange and bizarre love story you will find much to like. If not... well, you may find this film too darn odd. The Lobster has certainly proved diversive. However, while it left me with a heavy heart, I loved this film. It made me laugh, it made me really uncomfortable and it made me think about the way our society is constructed. The Lobster follows Colin Farrell’s David as he adjusts to life as a single man in a world where being single is outlawed. Farrell’s performance is a revelation. Let's face it, ordinarily he wouldn’t have any trouble finding a new partner. However, in The Lobster, Farrell really is remarkably unattractive - from his mustache to his paunch. David also has zero charisma. Indeed, in the beginning of the film, he is awkwardly passive. He just accepts his fate and makes no attempt to fight back. The hotel is by run by a manager played by Olivia Coleman. She is (as we have come to expect) superb in this role. Colman is just so chillingly detached - outwardly efficient and polite while also capable of devastating cruelty and abuse. David seeks solace in the company of two other men - the lisping man, played by John C. Reilly and the limping man, played by Ben Whishaw. Much of the film’s humour is created by watching the three navigate the hotel and its potential partners - all in a completely deadpan and emotionless manner. While there are many funny moments, bleakness and despair is never far away. Ashley Jensen is brilliant in portraying the desperation felt by many of the hotel’s single guests. They all long to be an officially acknowledged couple - even if they have to cheat the system. However, as David finds, pretending to be in love with someone is much more difficult than he could ever have imagined. Narrating the events in The Lobster is a female voice (Rachel Weisz). We meet her in the second part of the film. Here we learn more about the singletons lurking in the woods surrounding the hotel. These bedraggled souls are hunted every night by the hotel guests. Bag a single person with a tranquilizer dart and you’ll get yourself an extra day in the hotel as a human. As much as I enjoyed The Lobster, the film's second half lost me a little. As the love story took over, the film lost some of its focus and sense of humour. By the movie's last act, events had become brutal, uncomfortable and depressing. However, when the credits rolled, I knew that I had seen a superb film. It was great to see something so wonderfully surreal - if also nightmarish and bleak. 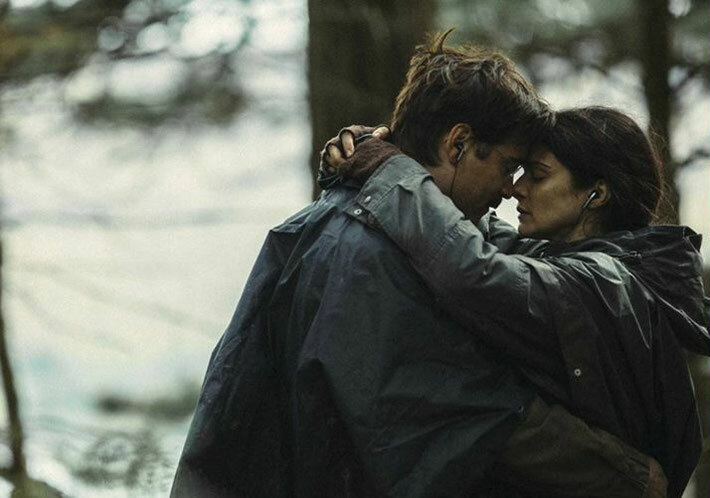 For there is no real conclusion here… the end of The Lobster feels more like the start of a conversation - this film has certainly left me with much to think about. The Lobster was shot in County Keary, southwest Ireland. The film is stunning to look at - particularly in the slow motion scenes that take place in the woods. The lighting in these scenes is beautiful - a sharp contrast to the drabness of the hotel or the sterility of the city. Did the hotel's corridors remind you of The Shining? Or was that just me? The Lobster, Lanthimos' English language debut, was awarded the Jury Prize in Cannes in 2015. Have you seen The Lobster? If you have, what did you think of this off-kilter film? I would love to know… why not leave me a comment in the box below? I definitely liked it. We saw it in September at TIFF and yeah - it's weird and tough but it's really cool. Hi Jay, thanks for stopping by! I completely agree with you - weird and tough but very cool. What's TIFF like? I've never actually been to a big film festival - something I must address this year!